Craving something a little sweet to add your breakfast? 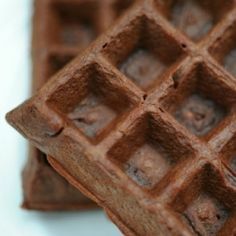 Well look no further than this IP Waffle recipe! Who says you can’t indulge while still staying healthy? Mix together IP pudding and baking powder. In a separate bowl mix together egg whites and vanilla extract. Combine the dry mix with the egg white mixture and stir.